Carrying on from our series of interviews with our favourite wedding partners and suppliers, today we are talking to Marbella-born Paco Montagut. 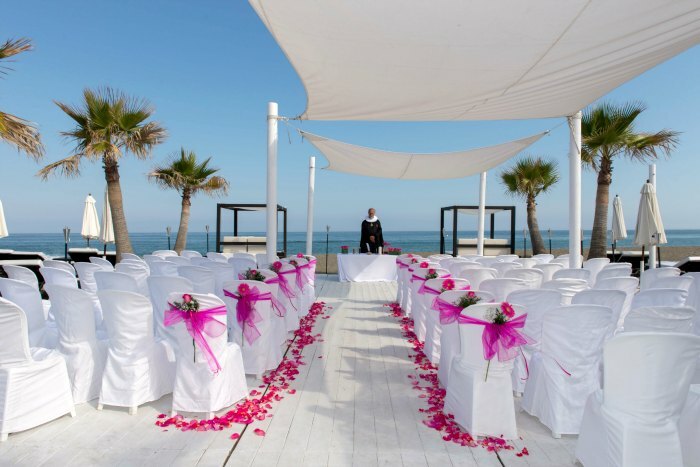 For nearly thirty years he has been documenting weddings and events on Spain’s most beloved coast, find out more about what makes a wedding unforgetable and what couples need to look for when choosing their wedding photographer. Hi Paco, thanks for chatting to us today. Hey, it’s my pleasure. Wedding photography is my favourite subject to talk about! What made you want to be a wedding photographer? Ever since I was a child, photography has been my life. I don’t see what I do as a job – I see it as a vocation. It’s what I was born to do. What do you love about being a wedding photographer? Being able to be part of the best day of someone’s life is absolutely priceless and gives me such a buzz. I love capturing amazing images of a couple’s wedding, encapsulating those memories, and then seeing the look on their face when they look at my photography and think back on their special day. It brings me so much happiness, something that I can’t imagine many other jobs can do. What wedding has been your favourite to shoot and why? My favorite weddings are those that take place in open spaces such as on the beach or in Spanish villas with great views. I prefer to shoot ceremonies that aren’t in churches as they offer more opportunities for great photographs. The result are often more natural and spontaneous with a wider range of colours , better lighting and a more informal atmosphere. What three tips would you give to couples who need to choose a wedding photographer? 1. Look for a true professional that knows how to take quality imagery. They will only get one chance to capture your wedding day so it’s vital to ensure you have the right photographer for you. Ask them to show you the full set of photos from two or three entire weddings, because it’s easy for them to show you only 8 – 10 wonderful photos of a wedding in a brochure, but you need to guarantee you will get amazing pictures of every moment of your day. 2. Value for money. We all know budget is important but don’t let it affect your choice of photographer. After all, your photos are all that is left after your big day, so they are not something you want to scrimp on. 3. Lastly, always have a meeting face to face with your chosen photographer to see if you feel comfortable with him/her. You will be spending many hours together on the day so you need to feel relaxed and enjoy yourself with them to get the best results. What is the funniest/most memorable thing to have happened at a wedding you have been at? I have 28 years of experience as a wedding photographer in Spain, enough to write a book , and there are some things I can’t tell you because the couples will kill me haha. But I remember one wedding where everything was ready, the ceremony and tables set up, guests seated, groom waiting at the altar and a person ran up saying they couldn’t find the bride and bridesmaid. They said they weren’t in the hotel, their dresses were still there, their mobile phones were switched off and of course we all thought the bride had run off! Imagine the look on the groom and his family’s face! What happened was that the bride and her friend had been at the hairdressers, their phones had run out of battery and she hadn’t been able to tell anyone she was running behind, so she arrived at the ceremony an hour late. Of course with wedding planners like Sunshine Weddings coordinating your wedding, things like that don’t happen…but it certainly was a wedding I will never forget! What do you love to do in your spare time when not taking pictures? I love to spend time with family and friends. I have plenty of both, just not enough time to see them as often as I would like to. Good light and amazing people. The quality of light at the time of taking a photograph is extremely important – it means my job is always different. Some people think all weddings are the same, but no! Even if I have shot a wedding in the same venue more than once, each wedding is unique because of the different light and of course the different people I work with. My clients inspire me, because each couple needs to be approached in a different way to be able to capture the best from their wedding.